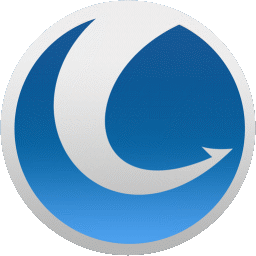 Glary Utilities Pro 5 (50% OFF) provides a one-stop solution with 20+ Premium Tools for PC performance optimization. It features one-click functionality and easy, automated options. Also protects your privacy and makes your computer faster and cleaner. This GlarySoft optimization suite scans and analyses your PC issues eight times more fast and thoroughly than before. It can boost PC speed and fixes frustrating errors, crashes and freezes. All tools can be accessed through an eye-pleasing and totally simplistic interface. Glary Utilities Pro 5 is the automated and all-in-one PC care service with Registry Fix, Privacy Protection, System Cleaning. As a result, it makes your PC 800% faster. The app lets you clean common system junk files, as well as invalid registry entries and Internet traces. You can manage and delete browser add-ons, analyze disk space usage and find duplicate files. Glary Utilities Pro 5 also lets you view and manage installed shell extensions. In addition, it can encrypt your files from unauthorized access and use, split large files into smaller manageable files and then rejoin them. Registry Cleaner. Scans and cleans up your registry to improve your system’s performance. Process Manager. Monitor programs that run on your PC and stop spyware and Trojans. Excellent software. For common users better leave the default settings. For advanced users is high quality tool. Thanks Softexia.